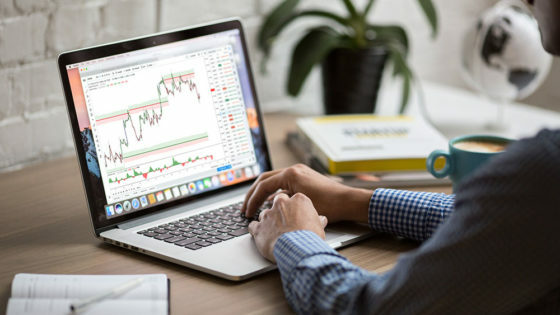 When it comes to choosing whether you should concentrate on Day Trading or Swing Trading there are 5 Key Differences to consider in order to understand which one is best for you. Once you understand these 5 Key Differences you will be able to better define your trading strategy and so you will learn how to be a good Day Trader or a good Swing Trader. 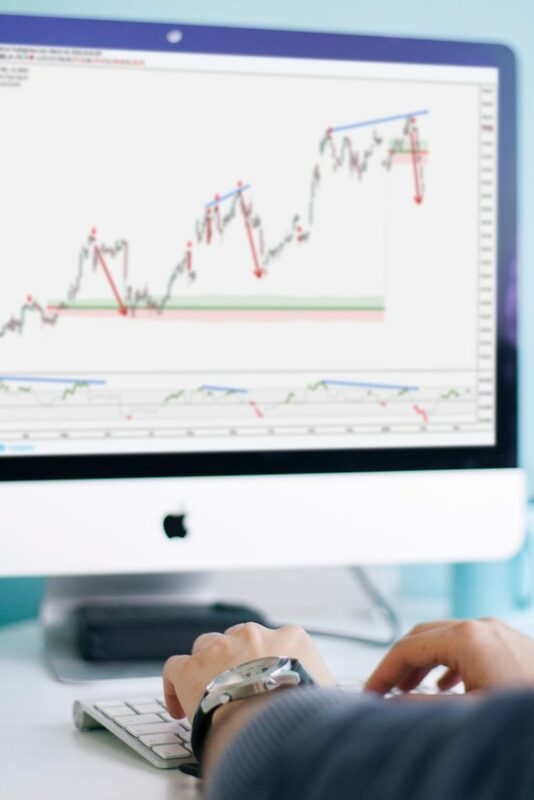 When you understand the difference between Day Trading and Swing Trading, your performance expectations will become clearer and, consequently, your overall trading performance will improve. Let’s find out what those 5 Key Differences are! There is not a fixed duration a trade should usually last for it to be profitable. It could be a matter of minutes, hours, days or even weeks and months, however, before considering any trade, you should always have in mind an expected trade duration otherwise you might end up holding a position for just too short or way too long. So, how does Day Trading compare to Swing Trading in terms of trade duration? When it comes to Day Trading, a trade lasts a few hours or even less. On the other hand, a Swing Trader will keep his open positions for days or even weeks. The reason for this key difference is the fact that a Day Trader will look at 1-minute, 5-minutes, 15-minutes charts and so the trade will usually reach its target (or its Stop Loss) within hours, at maximum. Contrarily, a Swing Trader trades on 1-hour, 4-hours or 1-day charts, hence the open position will take a longer time before being closed. That’s why it is important to have an expected trade duration in mind. If you are looking at a 4-hours chart, you can’t expect to open a trade and cash-in within 15 minutes in fact, unless a very sudden spike in volatility happens, chances are your position will stay open for a few days. If you are a really undisciplined trader, the second after you open a trade you are crying out for it to reach its target as soon as possible. Not that other traders do not prefer to close a trade in the shortest amount of time possible, but you need to give time to price for it to move. Yes, because how much price moves will impact how long (or short) your trades will last. When you are Day Trading you will capitalise on small price movements because you just need a limited change in price’s level in order to trigger your close order. On the other hand, Swing Traders need bigger price movements before their trades reach the target level. The following chart shows, side by side, a Day Trade and a Swing Trade on EUR/USD. The chart on the left (Day Trade) is on a 5-minutes timeframe while the chart on the right (Swing trade) is on a 1-hour timeframe. Both trades had a 1.67 return which means that if you would have risked $1,000 you would have closed your trade with $1,670 more in your trading account, however, the Day Trade required only a 17.9 pips movement (in 3 hours 40 minutes) while the Swing Trade required a 58 pips movement (in 5 days 11 hours). Does this mean that the Day Trade was better than the Swing Trade? Definitely not, because they had the exact same return. However, the Swing Trade required almost a 3.3 times bigger movement than the Day Trade in order to earn the same amount of money. There is not a single day without news being released. Be it a company’s quarterly result, central banks meetings, macroeconomic data, and much more, markets are constantly influenced by news. The calendar above is provided by TradingView and shows all the upcoming low, medium and high impacting economic data releases for major countries. As you can easily verify, every single day markets are regularly being influenced by news. And all these announcements have a known schedule so a trader can easily plan his strategy ahead of the release. But there are also sudden, unpredictable news which might have an even bigger impact on market volatility. Whether you are considering to open a new trade or already are into one, you must be aware that news might have a major impact on your position. For example, you are in profit and on the way to reaching your target. Then a negative announcement suddenly arrives on the markets and your trade not only changes direction for the bad but also rapidly reaches the Stop Loss level. You are out with a loss before you could even digest the news and decide how to react. Can you do something to prevent such occasions? Yes and no. Of course, the more experience you have the more you will understand how to avoid or react to such situations, however, you must know that Day Trading is more sensitive to news than Swing Trading. 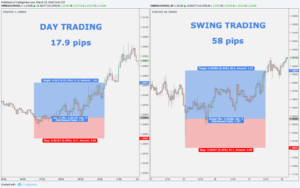 Referring to the same example we analysed in paragraph 2, the Day Trade on the 5-minute chart had a 10.7 pips margin (red area on the left) while the Swing Trade had a 34.7 pips margin (red area on the right). Having a bigger margin means that a Swing Trade can usually sustain a bigger negative movement before being closed for a loss in respect to a Day Trade. 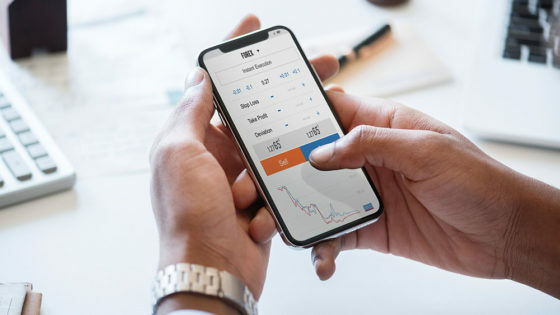 Basically, Day Trading you can reach your target (or your Stop Loss) more easily than Swing Trading and so, in this regard, it is much more sensitive to news because it takes a smaller movement for your position to be closed. Many people believe that trading is a fast-paced activity that over time becomes psychologically, and maybe even physically, demanding. 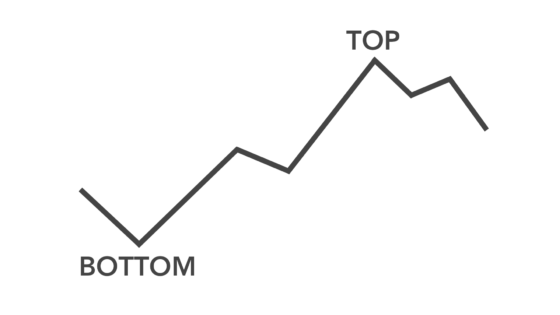 If you are able to check one-by-one the three points above then you’re on a good path because it means that you are mastering the art of trading and time will bring you results. However, if it is true that trading is not a fast-paced activity for most traders, it is also true that not every trader likes to chill while his positions work their way to profits. Some traders like to have that adequate amount of adrenaline flowing through the body to keep the action alert and the addiction to trading on. That’s mostly the case of Day Traders. In fact, Day Trading requires much more focus than Swing Trading. That’s because, as we analysed in detail above, trades last shorter, targets and margins are closer to reach and news have a much bigger impact on the ultimate trade result. On the other hand, Swing Trading offers a more relaxed approach to trading because trades last longer, targets and margins are farther to reach and news releases have a more limited short-term influence on the position. We now have a clearer understanding of the Key Differences between Day Trading and Swing Trading, however, there is still one major element that distinguishes the two and that is the overnight risk. The overnight risk is the risk you are taking for keeping your position open during the night (or during weekends). In such situation, you accept to be exposed to any number of events that can negatively impact your position while the markets are closed or simply while you are busy sleeping. The good news is that you can avoid such risk. Day Traders don’t take any overnight risk because like the term itself suggests they trade during the day. Day Trading means maximising the profit during the day by exploiting all the opportunities that appear and then closing all the positions when the trading day ends. Basically, every single morning they start from scratch. This approach automatically implies that you just don’t care what happens when you are not trading and that market activity simply becomes the base of your analysis for the next day. There is no risk to lose money while you are not actively trading. On the other hand, Swing Traders must deal with the overnight risk because, as we discussed above, their trades usually last multiple days or even weeks. It then becomes impossible to avoid the overnight risk because target levels and Stop Loss levels are farther away and so it takes longer to reach them. However, right because Stop Loss levels are farther away, Swing Traders are essentially minimizing the overnight risk because the price has more room to move before a position is closed with a loss. In the previous paragraphs, we discussed in detail the 5 Key Differences between Day Trading and Swing Trading. We now leave you with a side-by-side comparison of those 5 Key Differences so that you can better visualise them all together.